You can now support your hometown bookstore online by purchasing books on our website. 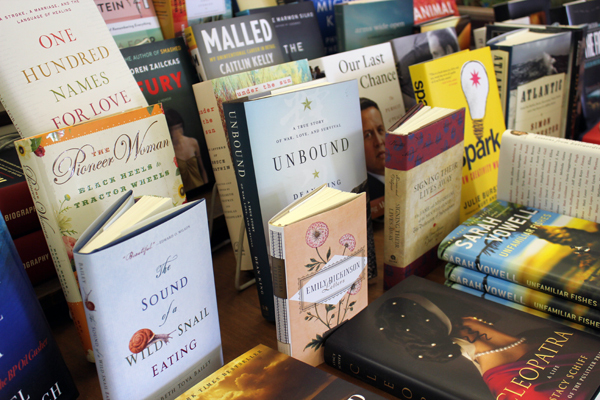 We are excited to present the opportunity to shop an expanded selection of titles and receive your books from us or direct from the distributor. Save on shipping by picking up your order in the store. eBooks can be downloaded to your computer or wireless device. You can use the Search tool on our site to find what you're looking for, or check out our Staff Picks or Bestsellers, nationwide Indie Bestsellers, or the bookseller recommendations on the Indie Next List. Click on any book's cover or title for more information including availability of hardcover, paperback, or eBook editions.